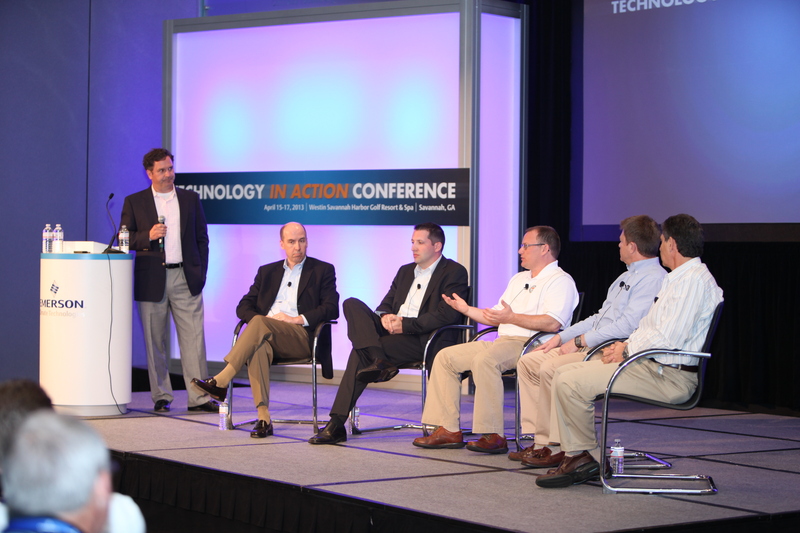 This is the first in a series of posts on key presentations from Emerson’s 2013 Technology in Action Conference. Recently, at our annual Technology in Action Conference (TAC), we convened a panel of leading supermarket, variety and convenience store facility managers to address trends, opportunities and challenges of using operational, or big data, to improve retail facility management. Pictured (left to right): Mark Dunson, Emerson Climate Technologies Retail Solutions; Jack Uldrich, The School of Unlearning; Ben Francis, Dollar General; Wayne Rosa, Delhaize America Shared Services; Terry David, QuikTrip; and Steve Geffin, Emerson Network Power. The panel, moderated by our President of Retail Solutions, Mark Dunson, discussed the importance of big data in operations, the challenges to transforming data into actionable information and the ways retailers are using this information to make decisions for their businesses. There is no lack of data in retail operations; in fact, there is actually too much data. This became clear through the panel discussion and the questions from TAC attendees during and after the session. The volumes of data and the potential for money-saving business insights, ensures that big data is a topic we will be discussing in future conferences. Emerson will continue to work with retailers to help capture and gain information from operations data. For example, one Emerson customer improved their preventative HVAC maintenance scheduling by using the E2 management system to target stores and units most likely to fail during peak summer months. Check out our video summary of the panel, featuring Mark Dunson and Emerson’s Jeff Zazzara and Scott Crider, along with retail customer Eric Johnson of Brookshire Brothers who shares the knowledge he gained as a fifth year TAC attendee. What challenges and opportunities is your business seeing with using big data?